Ashley / Emily/ Jared/ Caila: So Jared broke it off with Emily for Caila. He seemed really into Caila. He seemed so somber even with Emily, but with Caila, his body language is so different. Then, Ashley came to paradise, and oh my god. 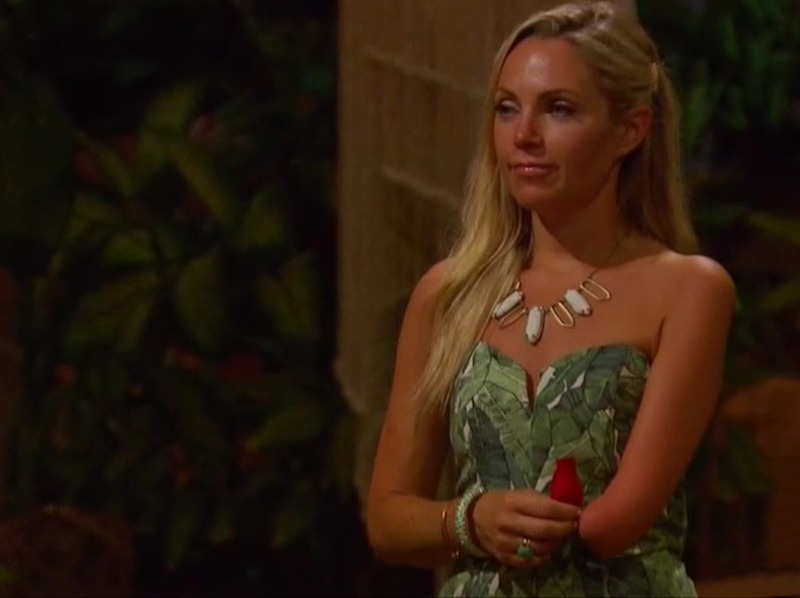 I love Ashley because she’s so honest and real, but like the conversation with Jared at the rose ceremony was so intense. He’s so not into her, but she’s not ready to move on. I love the conversation with Nick and Ashley. It’s the kind of conversation for Jared to have with Ashley. Daniel and Sarah: Daniel and Sarah have been super cute, and based on their social media, they still hang out so maybe they just have a good friendship now? I really like these two, but importantly, I really love Daniel. I’ve been defending his weirdness in Jojo’s season too. He’s just so funny. If you watched the aftershow, he’s hilarious but also endearing. 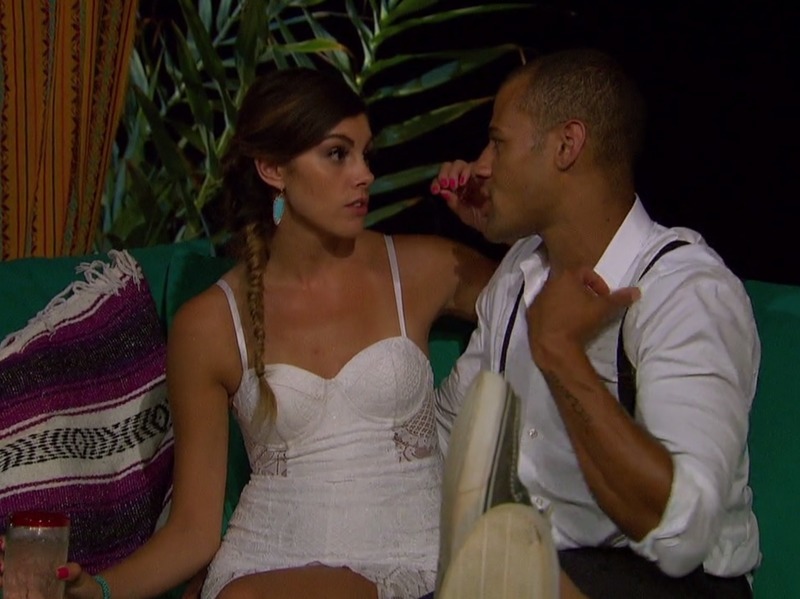 When the hosts ask why he left Ashley during their date, he just plainly says he was hungry. Izzy and Vinny: Izzy and Vinny are very sweet together and remained pretty strong throughout the episode. There seems like trouble in paradise next week though. Grant and Lace: These two are also super rock solid. I love how Lace was not having it about having water poured on her. Honestly, the whole date seemed really fun. Nick and Jen: I’ve always liked Nick’s honesty, and he gives great advice to all his friends in both episodes. I love how he told Emily it’s okay to be upset, and that Ashley is just infatuated with him. 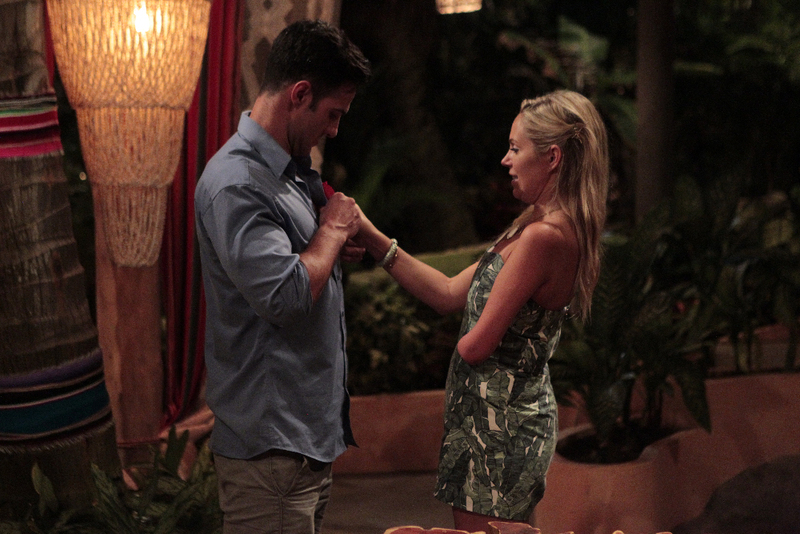 Haley giving him a rose was another great friendship moment. He really made a comeback, and then Jen comes to paradise. These two are great. I’m really happy for Nick. Evan and Carly: Carly’s commentary is the best. With her commentating every single occurrence with Evan, it makes sense why she ended up liking him in the end. They were both so funny and I was actually dying when Carly thought Evan made this all up to impress her. Amanda and Josh: Poor Amanda. She and Josh have had quite the interesting edit. I mean it’a literally just pizza and making out. Andi’s book is the real winner here, as she’s getting some free publicity. They might as well plant a spare copy on Amanda’s pillow. I loved these outfits in this scene. Ashley’s dress was so pretty, and Haley’s looks great with her updo. I also liked Emily’s off the shoulder dress. The prints were all pretty, but Ashley’s feather printed dress was stunning. Jen walked in looking so pretty in this romantic one piece. The floral print and ruffles worked really well with her loose waves. I really liked this dress from Haley. The color is super pretty and the strategic cutouts work well with her shape. The twins always kill it with their style. Amanda also wore this off the shoulder dress, and it was cute. I really liked how Lace wore this dress so effortlessly with simply blue earrings and a fishtail. It worked really well, and it actually stood out from the off the shoulder dresses and maxi dresses. This was super pretty. I love the asymmetrical cut of the dress, and I’m a huge fan of the color. Sarah is the real MVP when it comes to fashion because this romper was only $14.99 from H&M. Compared to the other 100-200 dollar dresses and rompers, this was a great steal. Hope you liked my recap! Check out the fashion from the episode at Pradux.com.